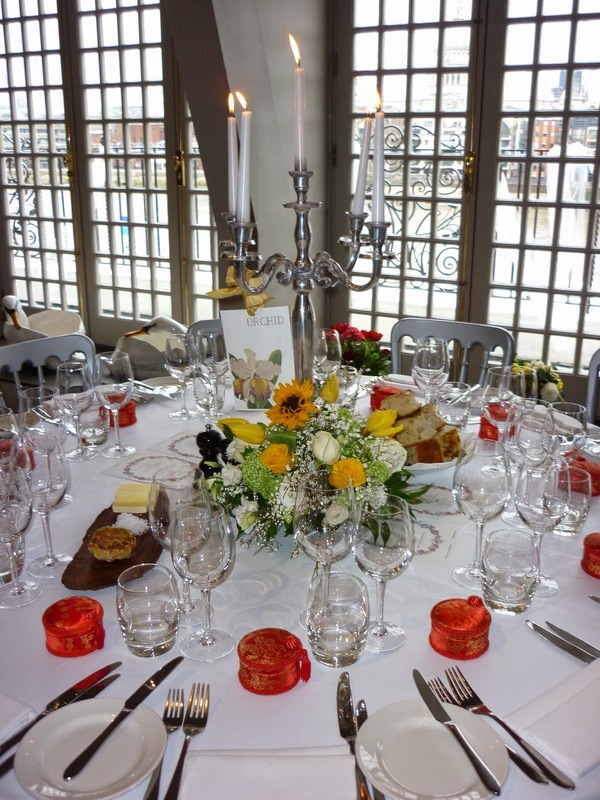 Yesterday there was a lovely flower themed wedding in the Balcony Room. The florist was a friend of the bride and was, in fact, a lawyer by trade! She did a superb job in my opinion. 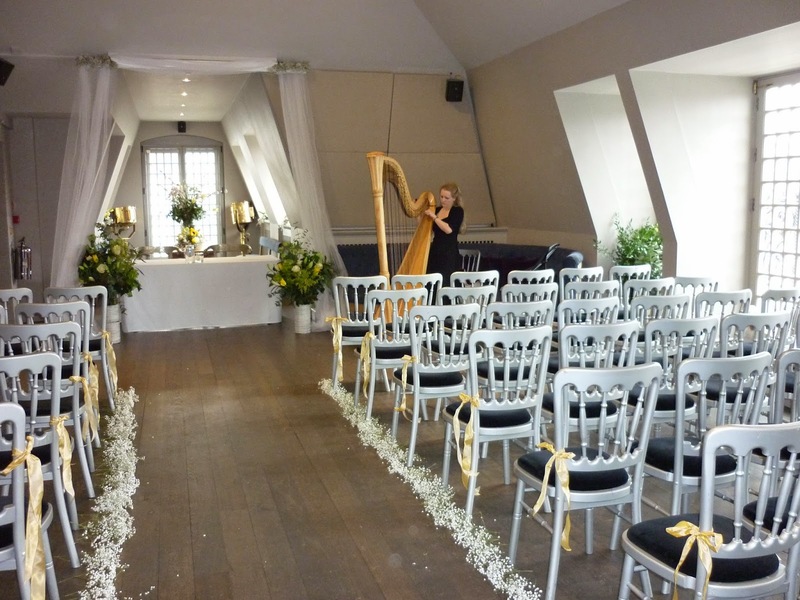 The wedding ceremony was beautiful with a live harpist for the bride's walk down the isle. Everything was very elegant and sophisticated. In the picture above you see the baby's breath used to outline the isle. 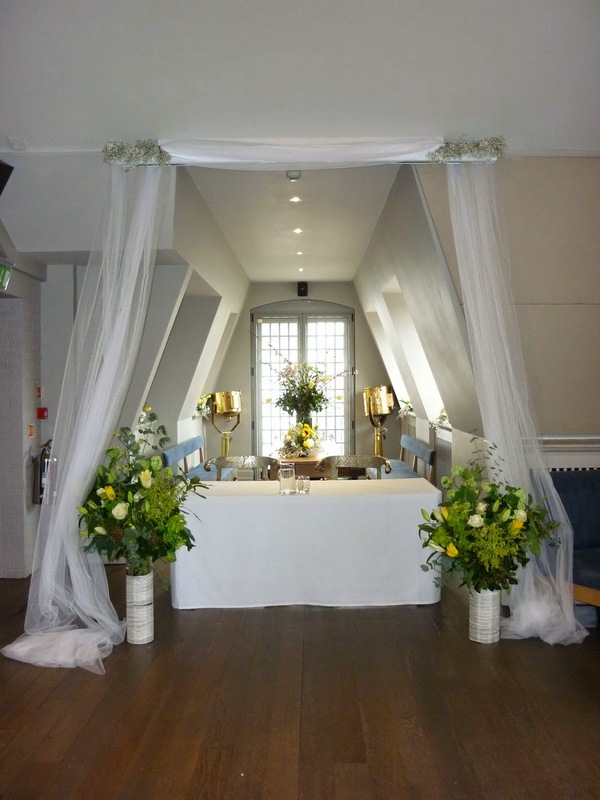 Bridal tulle had been used over the projector screen to create a canopy of sort that framed the registrars table nicely. 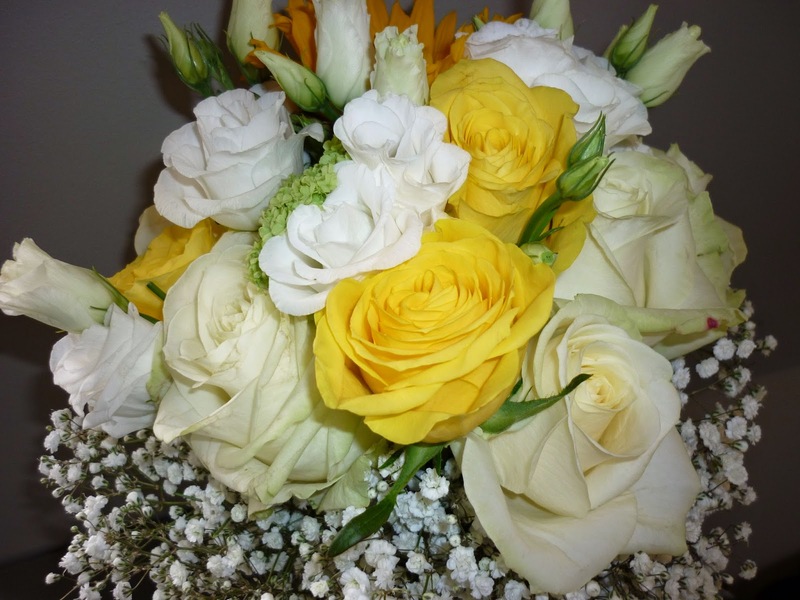 The wedding colour was yellow and the grooms men wore yellow ties to match the flowers decorated around the room. 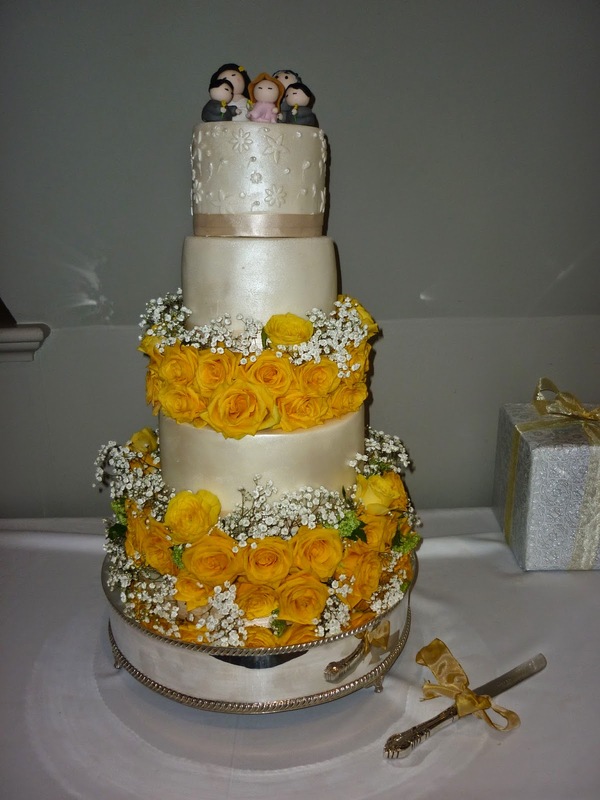 The wedding cake was simple but very nice. It was actually a carrot cake with cream cheese icing inside which was a lovely surprise for all the guests. 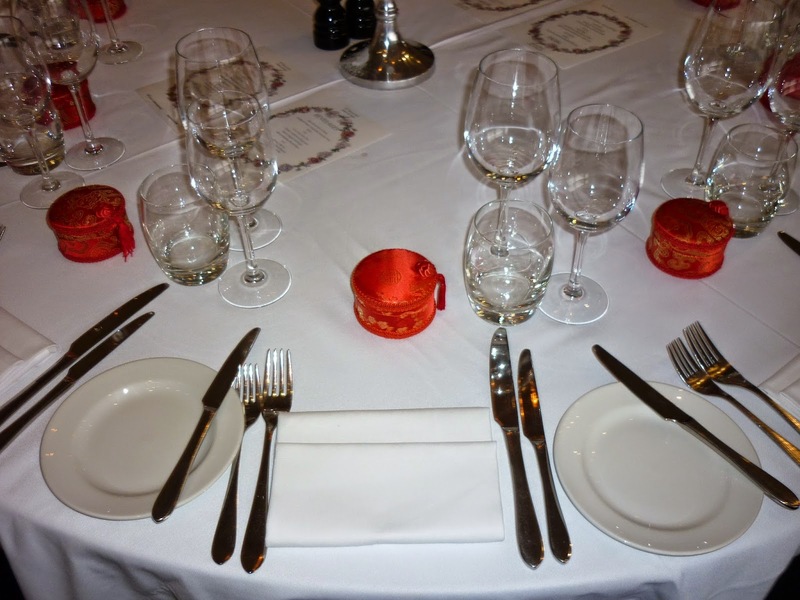 The table set-up is shown in these photos. 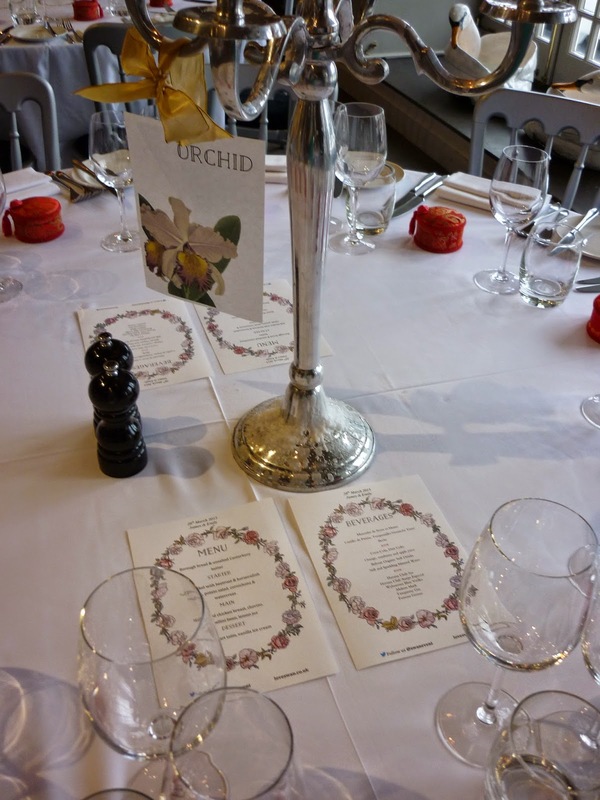 We made menus and table names to match their theme. As the bride was of Chinese origin, the wedding favours were these beautiful oriental boxes. In all, it was a very lovely wedding and I was happy to be there. Looks very nice. Classy. I liked the other wedding for its comic-ness (and the cake decoration was awesome), but this one just seems so much fresher.